This year one of the evening parties at Gnomedex 2007 took place in and around the newly renovated Seattle Aquarium. The Let Leonard In staff had no clue that I had been given an all access pass to the Aquarium previously. I’d tend to bet I missed a few things within the Seattle Aquarium. I took the middle part of the evening to try and explore as much of it as I could. Yet I have a feeling I didn’t see everything. With the limited socializing I did that evening. You would think I would have gotten all the exhibits seen. 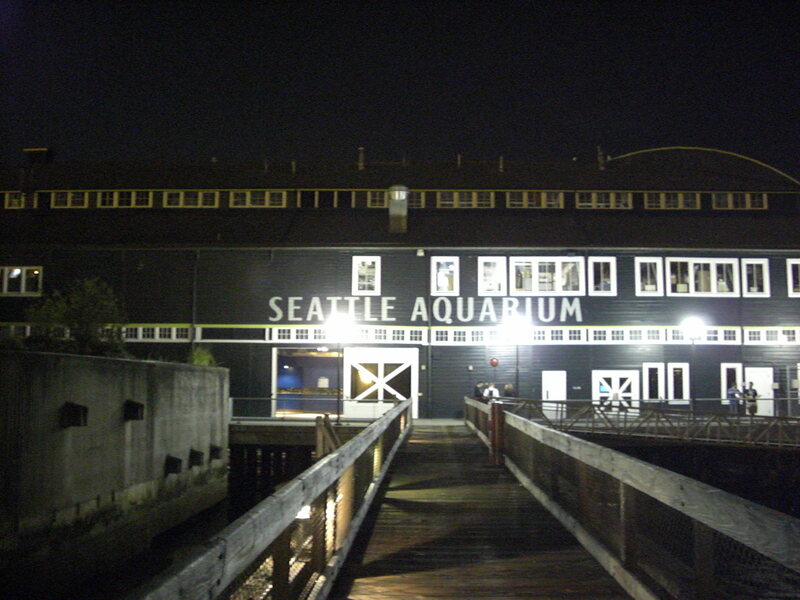 If you would like to learn more about the Seattle Aquarium and the Let Leonard In advertising promotion. Please use the links provided below.